In the Supplement industry today, everyone is trying to make the next game-changing product with the next game-changing ingredient. But when it comes down to it, anything and everything can be copied. Ingredients can be mixed and recipes can be altered, however, the thing that can be a game-changing factor when the customer buys the product, is flavor. We here at Biohealth Nutrition have taken the necessary steps to make our flavor palettes the best they can possibly be. Whether you are trying one of our classic flavors, or you are trying one of our out of the box flavors, our idea was simple: How do we incorporate all the great features as well as healthy ingredients, and still make sure the taste is still amazing. So for all of our different protein categories, we had specific and unique flavors made for each type. Yes, some of our flavors are seen in Both our Blend and ISO flavors, but that doesn’t mean they are the same. they actually taste different but still amazing. So let’s go ahead and dive into the flavor palettes for each of the categories that Biohealth has to offer! These flavors make up the core of our most popular flavors. With a unique mix of sweet (Not too sweet) and savory taste, it makes it easy quite delicious to drink or to make some awesome recipes with. The fruit flavors play a huge role in our Biohealth family as they offer a couple different options for creating delicious tasting protein shakes. While you can just shake it up with water, this product goes extremely well with all smoothie recipes. A lot of times we find the macros on smoothies are extremely high in regards to carb and fat content. With our ISO protein, we took that problem away and eliminated all of the fat and carbohydrates! Now you have options to add all your favorite fruits and extras to make the best smoothies around! 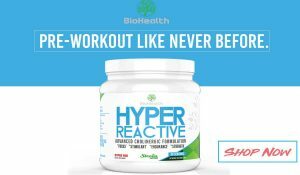 Bio Health Nutrition Fitness Promo from Jesse Corona on Vimeo. What if we told you that we made a flavor that tastes better than a Reese’s peanut butter cup? Yeah we did that. Also, what if we told you that we made a protein with real caffeine that tastes identical to a Starbucks mocha? Well we did that too, but with this flavor we redefined the way people consumed protein. Imagine having 22mg of caffeine with no fat and no carbs but also the same great Starbucks mocha taste? We would like to introduce you to Mochaccino. Our extremely coveted formula has swept the nation in regards to people tossing that coffee cup and grabbing a protein shake packed with over 28G of protein per scoop! We make game changers and these flavors are definitely some of them! Our Blend flavors, while similar to our ISO flavors, have a unique blend of great tasting whey and Casein protein. The flavors, however, are on another level, and by another level, we mean on the same playing field as our ISO flavors. We wanted to bring out flavors that could really break away from the normal protein flavors. While yes, chocolate and vanilla will always be household names, introducing a game-changing flavor like churro brings a new unique blend to your protein consumption. Take sweet and cinnamon and make it into a shake for a whole new taste and flavor! Our whole food meal replacer is our popular meal replacement formula that allows someone who isn’t able to get all their meals in to make sure they are getting the proper macros throughout the day. We made it a big deal that these flavors actually tasted like your full meal. The last time we checked, having chocolate for breakfast wasn’t something of the norm. Our whole foods are one of a kind when it comes to flavors and ingredients! When it comes to flavors Biohealth makes it a priority to ensure quality above everything else. We care about our flavors, our taste, and our customers.